Early images from the Consent Training Day held today in liaison with the Human Tissue Authority (HTA). 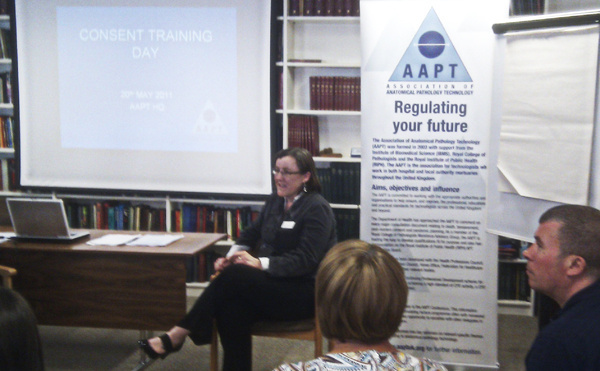 The morning session consisted of lectures from Vicky Marshment, Policy Manager at the HTA and AAPT Council members Lydia Judge-Kronis & David Shepherd. In the afternoon, delegates discussed practical scenarios in a workshop based setting. The presentations will be made available in the Members Area.